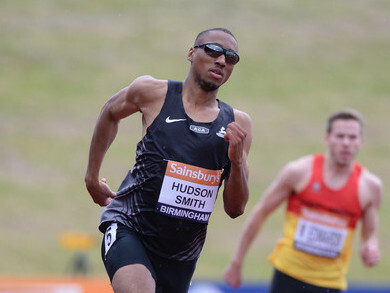 11th June 2015 – Having raced just a few miles from his home at Sundays IAAF Diamond League in Birmingham, Matthew Hudson-Smith (GBR) had to travel a little further afield this time as he took to the track in Oslo for the historic Bislett Games. Running from lane 6 in the 400m Matthew was quick out of the blocks and ran a very mature race that saw him finish strongly through the final 50m and take second place behind the Bahama’s Steven Gardiner. Matthew has got faster in each of his three 400m races this season and after clocking 45.09 seconds here looks set to get back under 45 seconds very soon. In the womens 5000m Magdalyne Masai (KEN) and Steph Twell (GBR) finished in eighth and tenth positions running 15:16.17 and 15:21.36 respectively.